Have you ever heard of Schladminger Loden? Schladminger Loden is a very special type of woollen cloth popular here in the region, which can only be made using our 130 year old fulling hammer. And we’re really proud of it. 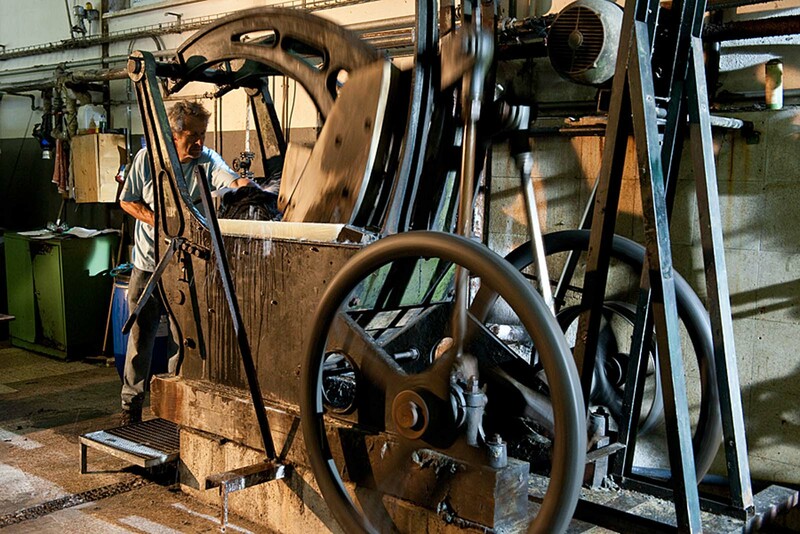 In 1888, exactly 130 years ago, a loden manufacture was founded in Mandling to make use of local sheep’s wool. A really good business idea actually, as there were a number of sheep farmers in the region at that time and hard-wearing fabrics were popular amongst the local inhabitants. 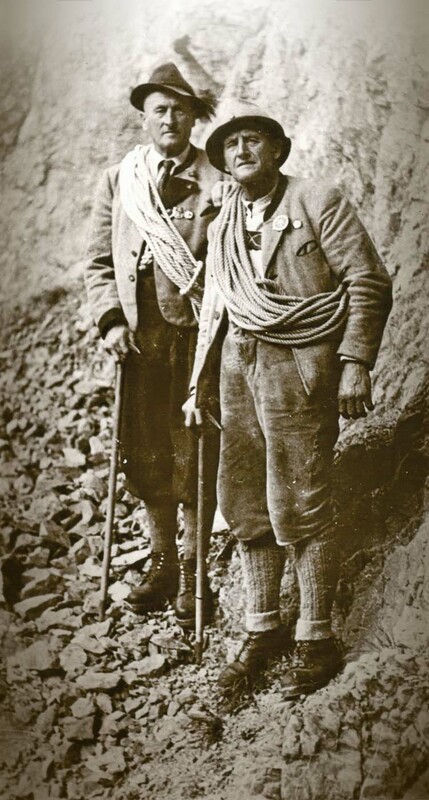 When in 1910 the keen mountain guide Franz Steiner took over the loden manufacture from his uncle, he was already a living legend: the previous year he and his brother Irg were the first to climb the famous Dachstein south face – naturally wearing loden trousers made by his own company. That’s why this trail is called the Steinerweg and counts amongst one of the most difficult climbing routes in Austria. And we’re glad that they both conquered this route unscathed and the loden production continued successfully. Time to take a giant leap forward into 2018. Nowadays the family business is run by the fifth generation of the family, by Johannes and Herbert Steiner. Our company produces 220,000 m of cloth per year. But who buys it? Amongst our customers you’ll find famous fashion labels such as Chanel, Louis Vuitton, Yves St. Laurent or sports labels such as Ortovox and traditional Austrian costume labels such as Luis Trenker. Not bad for such a small, idyllic resort, don’t you think? We start off in our Steiner1888 Shop. I’m picked up by one of my colleagues and guided towards the first room in the factory. You might want to note that guided tours for the public take place every Tuesday and Thursday at 10 am and 3 pm, no booking required. 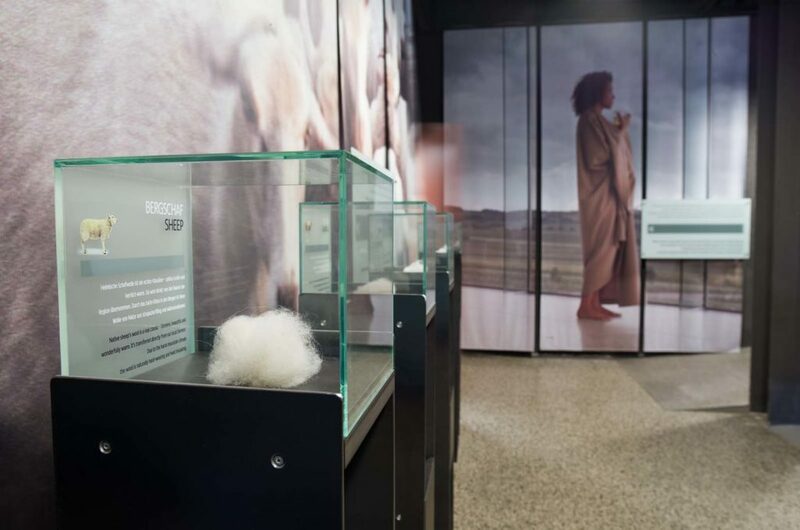 You just need to be punctual 😉 At the first station you can actively feel the different types of wool: sheep, alpaca, merino, angora, cashmere. 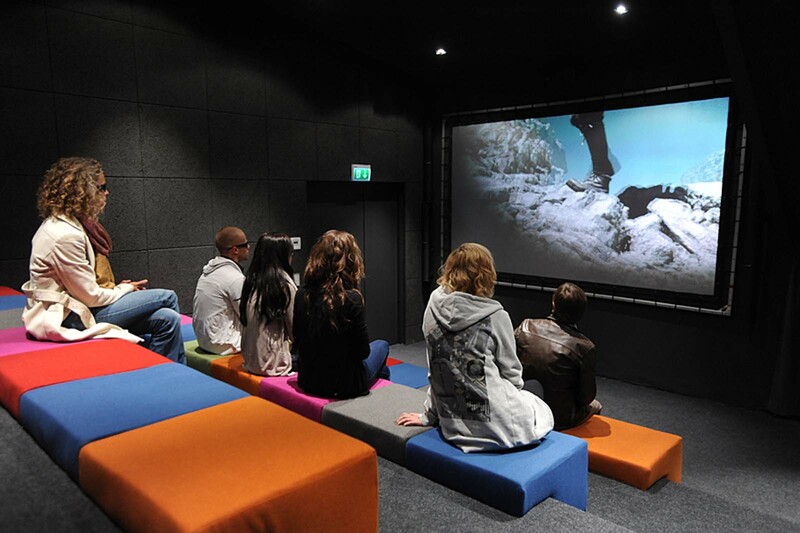 Then I get more of an idea of what the “Wollwelt” (Wool World) is all about by watching a 3D film, which gives me a taste for more. And that’s what I get. We follow all stages from the raw wool to the finished product. Up to 40 production steps are required to produce a high-quality wool blanket from raw wool – many of which are still by hand. The weaving department is my favourite level. 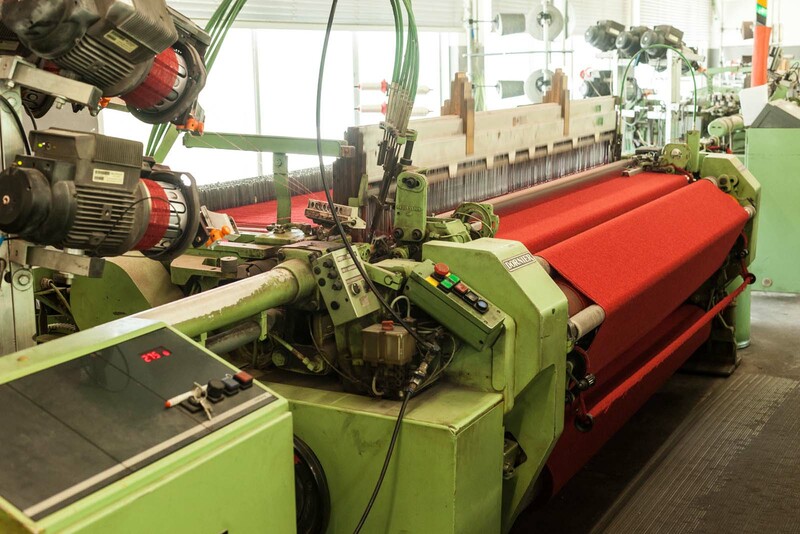 The 12 operating weaving machines make the floor vibrate and I now see for the first time how the spun threads transform into a surface of fabric. However, the fabric is by now means ready yet and I realise that it’s much too flimsy for original loden fabric. The information boards provide me with more details: in order for the cloth to become proper loden is has to be “walked“ (fulled). The cloth is beaten and it matts to become durable. 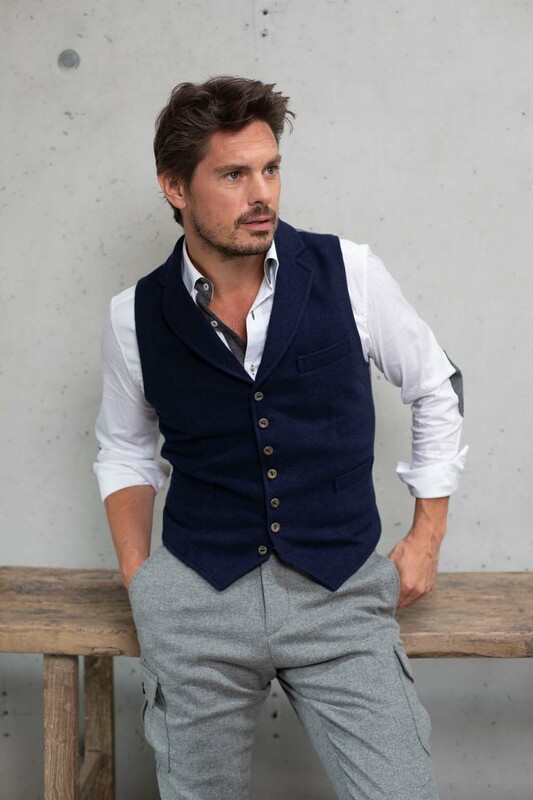 Loden is, by the way, breathable, keeps warm in winter and cool in summer. A real all-rounder! The guided tour through the Wool World takes around 1 hour and ends in the shop. Now you have time to touch and try on the Steiner products. The Steiner1888 label covers blankets, cushions, living accessories and fabric coverings for furniture. Four years ago a clothing range, also under the same label was introduced: fashionable, sporty, with a traditional touch. More information for the guided tour. More information of the products.